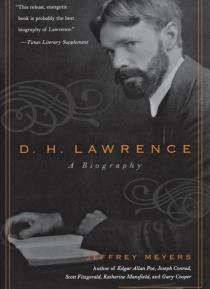 Jeffrey Meyers, the author of highly acclaimed biographies of Hemingway and George Orwell, offers this masterly work on British novelist D. H. Lawrence (1885-1930). Meyers' fresh insights into Lawrence's life illuminate Lawrence's working-class childhood, his tempestuous marriage, and his death in France after the scandalous publication of Lady Chatterley's Lover, revealing Lawrence's complex meth… od of intermingling autobiography and fiction. Through intensive research and access to unpublished essays and letters of Lawrence and his circle, Meyers describes the circumstances of his mother's death, the reason for the suppression of The Rainbow, and the author's protean (and extreme) sexuality that mirrored that of his fiction.